The kitchen is a unique zone in every home, and we naturally give a lot of thought to its planning and design. 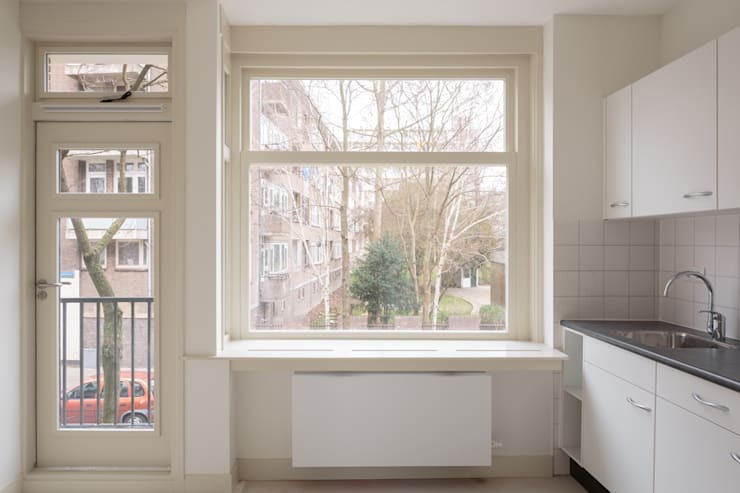 We carefully choose modern fittings, stylish appliances, practical storage styles and whatever else we can think of to make it a highly functional and comfortable space. There can never be enough shared about kitchen comfort, which is why we have a treat for you today – 8 amazing ideas to make your kitchen even more awesome! These practical and innovative tips will help you take your kitchen décor to the next level – take a look! The cutlery drawer invariably comes with inserts to separate spoons, forks and knives. Why not apply the same concept to the other drawers as well? 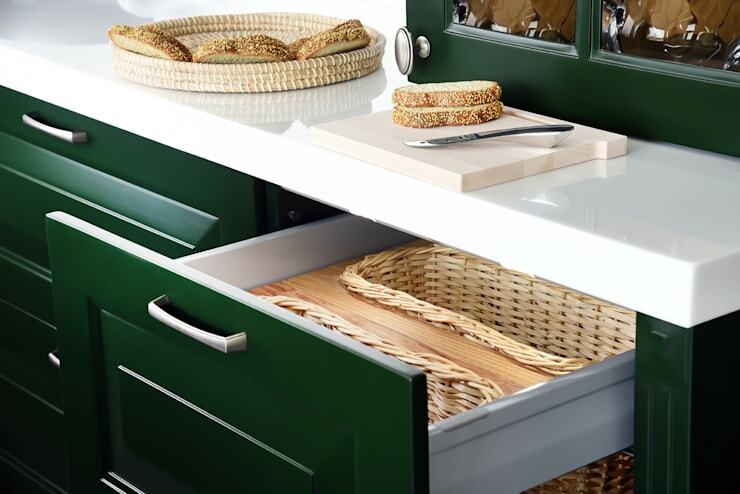 Check out these bread baskets that not only make for convenient storage, but also look super stylish! Are you hooked on certain pans and use them every day? Well, hang them on hooks for easy reach! Just look how economical it is to achieve a practical yet decorative effect with some convenient S-bend metal hooks and a rod! 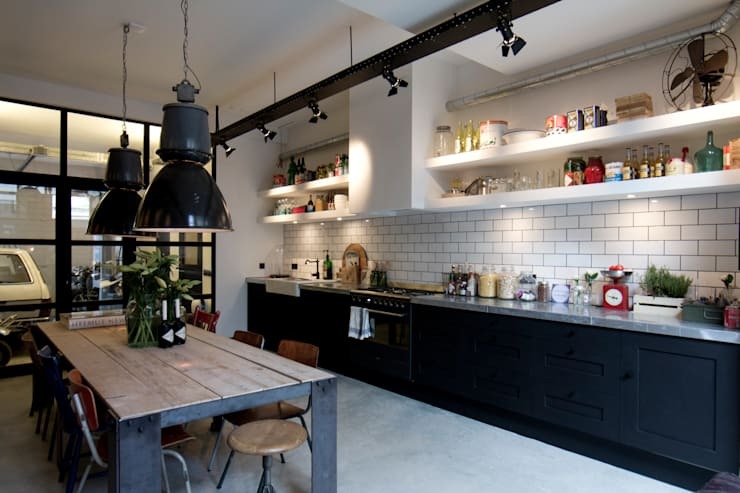 Take your cue from this stylish kitchen designed by the interior architects at Hande Koksal Interiors. 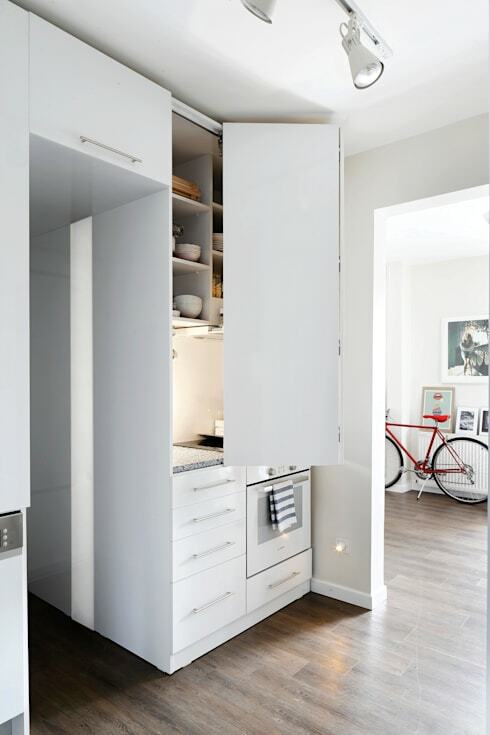 A standard cupboard door in a kitchenette isn’t the most practical of options. It sticks out and gets in the way, blocking space and restricting ease of movement. Look at this amazing alternative – a very convenient, compact and stylish bi-folding door! Delving into the cupboard for an elusive spice jar is a trial with which we're all familiar. 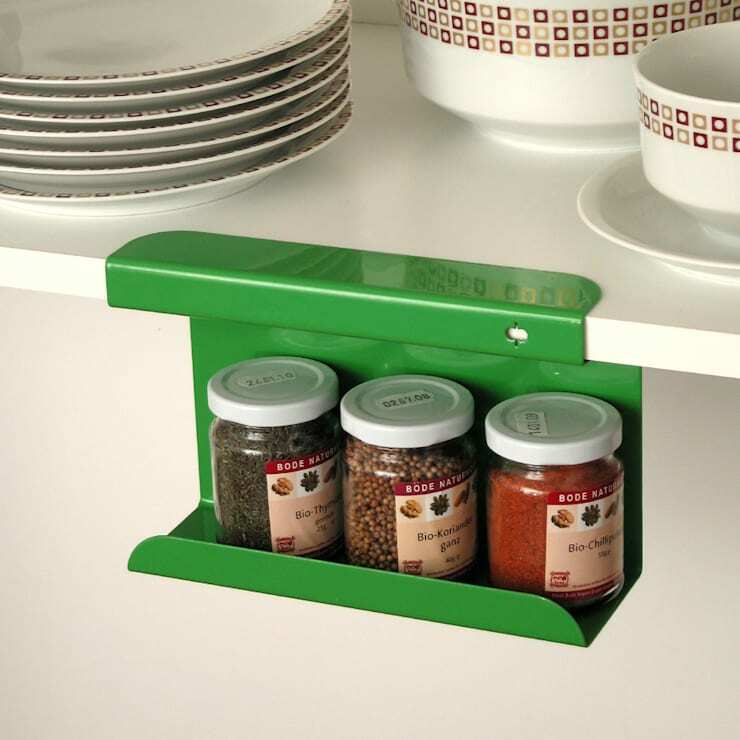 Check out this handy and space-saving solution which keeps spices organised and within easy reach! Who says a kitchen can only have closed cabinets? Open shelves are a convenient and economical option, and a marvellous way to keep your fancy crockery and jars on display. 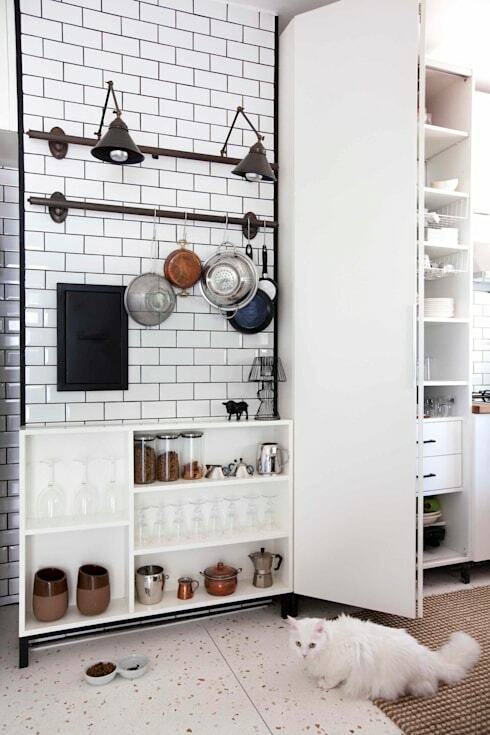 The open shelves also enhance a sense of space in the kitchen. This is a fabulous idea for personalised kitchen décor! 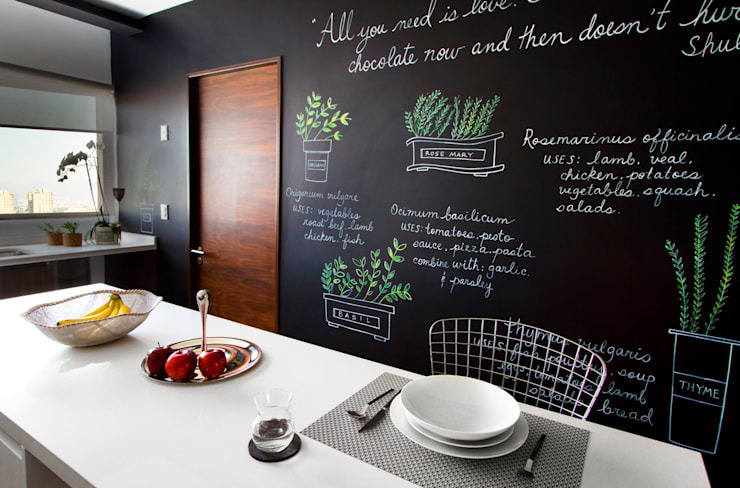 Convert one wall of your kitchen into a blackboard and write messages for your family, create art, make shopping lists or plan menus. This is another level of ingenuity that will take your kitchen a notch above the rest! A bare window sill is the perfect place to grow a little indoor garden. We can easily imagine this empty sill blooming with a variety of fragrant herbs! How convenient for cooking and what a lovely ambience it would create. 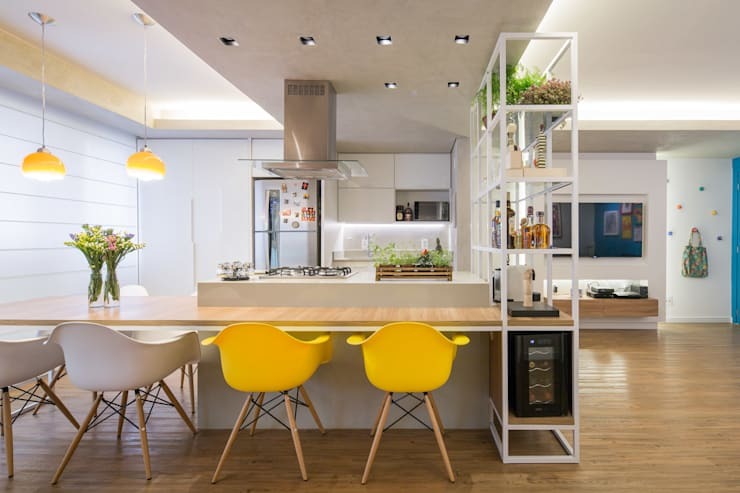 An open-plan design is the ideal layout with which to use open shelves as partitions. The kitchen is thus separated from the other living spaces and you also get additional room for storage!